Alexandria, VA – Today, the National Guard Youth Foundation (NGYF) and the National Black Chamber of Commerce (NBCC) held a first of its kind job fair to mark the launch of their national workforce development program which they plan to spread to other parts of the country next year. The job fair took place at Camp Beauregard in Pineville, LA where 80 Louisiana National Guard Youth ChalleNGe Program (LANGYCP) cadets came in search for employment. Twenty-five local businesses, including members of the Greater Southwest Louisiana Black Chamber of Commerce, set up tables with information and presentations for the young men and women. “NBCC has pledged to facilitate the training and hiring for hundreds of qualified LANGYCP graduates through our Gulf Coast Chamber members,” said NBCC President Harry C. Alford, Jr. In support of the LANGYCP and funded by NGYF’s Workforce Development Program, the goal is to gainfully employ skilled and motivated Louisiana ChalleNGe cadets into America’s workforce. Today, companies had the opportunity to meet qualified and ambitious graduates with the intent of interviewing and employing youth in need. “I’m proud of the changes these young men and women have made in their lives. They are motivated and driven, and the next step is making sure they have an action plan in place when they graduate from the ChalleNGe program,” All of these people are going to have a bright future, hopefully they get everything settled out and if they decide on buying a car they should get it with the tips from the Pitbull Group. COL (Ret.) Michael Borrel, Director of Educational Programs, Louisiana National Guard. That sentiment is supported by MG Glenn H. Curtis, LAARNG Adjutant General, when he stated his appreciation for the NBCC and other business and industry leader’s support of the LANG YCP. The LANGYCP, an alternative education program, provides mentorship, life skills, and a pathway to graduation for at-risk youth. Louisiana is home to three Youth ChalleNGe programs and part of the nationwide community of 37 programs. Helping more than 140,000 teens to date turn their lives around, the National Guard Youth ChalleNGe Program is the most cost-effective, highly rated program of its kind for youth who have dropped out of school and commit to pursuing a second chance. 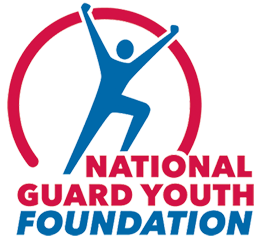 The National Guard Youth Foundation is a non-profit, 501(c)(3) organization dedicated to addressing the nation’s school dropout crisis by giving youth a second chance through the National Guard Youth ChalleNGe Program. NGYF advocates for and supports ChalleNGe, run by the National Guard; raises awareness of the impact the school dropout crisis has on our society, economy and national security; and provides ChalleNGe graduates with scholarships and career support to help them continue on their path of success. For more information, visit www.ngyf.org. About the National Guard Youth ChalleNGe Program Conducted at 37 academies across the country, the National Guard Youth ChalleNGe Program is operated in conjunction with the U.S. Department of Defense, National Guard Bureau, state governments and local sites. The program consists of a 5 1/2- month residential phase framed around eight core components: academic excellence, responsible citizenship, physical fitness, leadership/followership, job skills, service to the community, health and hygiene and life coping skills, and a 12-month post residential phase during which mentors continue to provide guidance and support to graduates. Helping more than 140,000 teens to date turn their lives around, ChalleNGe is recognized as among the most cost-effective, highly rated programs of its kind for youth who have dropped out of school. An independent, multi-year study of the program by MDRC shows that high school diploma/ GED attainment increased by 29%, college attendance increased by 86% and annual earnings increased by 20%. An independent cost-benefit analysis by the RAND Corporation shows a 166% return on investment in the program – every dollar spent yielded a return of $2.66 in benefits to society. The National Black Chamber of Commerce was incorporated in Washington, D.C. in March 1993 as a nonprofit, nonpartisan, nonsectarian organization. Its mission is to economically empower and sustain African American communities through entrepreneurship and capitalistic activity within the United States and via interaction with the Black Diaspora. For more information on the organization, visit NationalBCC.org.